Variations on the Italian cuisine have certainly cemented their place in the dining tables of homes and restaurants all over the world. In Wisconsin, locals can have a taste of traditional dishes from the old country at the leading Italian restaurant in Fitchburg. People often seek authenticity, flavorful meals, and outstanding service in an Italian restaurant in Fitchburg. If you are looking forward to satisfying your Mediterranean craving, Benvenuto's Italian Grill will serve what you need. 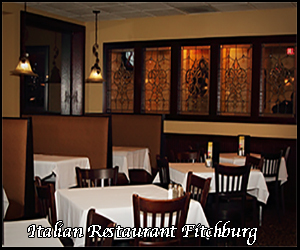 The best Italian restaurant in Fitchburg is perfect for group parties and romantic dinners. Every Italian restaurant in Fitchburg can turn dishes originating from the old country into the perfect meal for any occasion, from simple dinners to special events. However, as the best Italian restaurant in Fitchburg, we take it up a notch. Our restaurant offers private dining areas for small and large groups alike with ample space to accommodate all of our guests. If you would rather have an intimate dinner with your significant other, the best Italian restaurant in Fitchburg has you covered. At our Italian restaurant in Fitchburg, we put all the right touches to create the perfect ambiance for you. Our dining room is adorned with a beautiful fireplace as well as an elegant water fountain. Since we are the best Italian restaurant in Fitchburg, we will not fail in making your dining experience as lovely as possible. Gather your family and friends and enjoy each other's company at our charming restaurant. The best Italian restaurant in Fitchburg offers mouthwatering traditional Italian dishes. Exceptional cooking is what people seek in an Italian restaurant in Fitchburg. From herby and rich sauces to hot and fresh pizzas, you can expect these and more from the best establishments. At the leading Italian restaurant in Fitchburg, a variety of high-quality dishes awaits you. Benvenuto's Italian Grill, the finest Italian restaurant in Fitchburg, boasts a diverse menu that will appeal to anyone's taste. Each meal served at our Italian restaurant in Fitchburg is cooked to perfection, proving that our dishes are incomparable to what other establishments serve. At our Italian restaurant in Fitchburg, we only serve the freshest Italian dishes to our guests. Let your mouth have a flavorful experience at our restaurant today. The best Italian restaurant in Fitchburg buys local and accommodates customers with special diets. The focus of our Italian restaurant in Fitchburg is to provide our guests with meals made from high-quality and fresh ingredients. We do our best to make sure our ingredients are all-natural and sourced from Wisconsin. Since we are the leading Italian restaurant in Fitchburg, we also strive to keep our dishes free from preservatives and additives. Our Italian restaurant in Fitchburg serves meal options for guests with special diets, allergies, and dietary limitations. We want to make sure that everyone can indulge in each bite of our traditional dishes. As the best Italian restaurant in Fitchburg, we guarantee that our menu has been approved by the Gluten Intolerance Group® as well as a licensed Wisconsin dietician. The best Italian restaurant in Fitchburg will never settle for mediocre. Have an unforgettable culinary experience at Benvenuto’s Italian Grill! Would you like to dine in the leading Italian restaurant in Fitchburg? Benvenuto's Italian Grill is open daily from 11:00 AM to 10:00 PM. Contact us for details. Are you in the mood for traditional Italian cuisine? Satisfy your cravings at Benvenuto’s Italian Grill. We have mastered the art of cooking traditional Italian dishes that are sure to please even the most sophisticated palates. You won’t be able to resist our savory pizzas or our creamy pastas. Lovingly made and perfectly seasoned, our culinary creations will have you savoring every last bite. Click here to learn more about us.